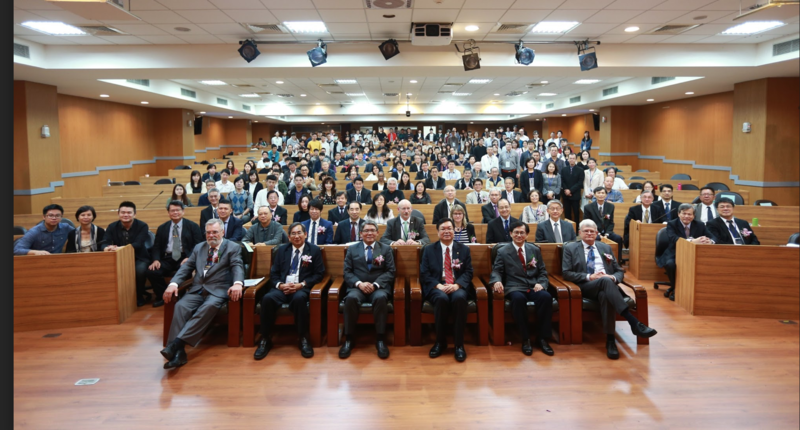 The conference attracted over 300 delegates from Taiwan, Japan and Hong Kong. The program included 6 keynote speakers, including Rong-Jing Wang, DG of the Architecture and Building Research Institute (ABRI); Lee Siang-Tai, formerly Board Chair of WGBC; Nils Larsson, XD of iiSBE; Thomas Luetzkendorf, Professor at KIT (Germany), and Takashi Inoue from the Tokyo University of Science. The Taipei conference also featured an SBE roundtable session that focused on the content and implications of regional climate change and sustainability issues. There were a total of six participants on the panel and about 200 in the audience for the session. The presenters included Thomas Luetzkendorf (KIT); Che-Ming Chiang, Taiwan Sustainable Green Construction Union; Ling-Tim Wong, Hong Kong; Lynne Jack, Coordinator of CIB W62; Stephen Lau, NUS; Nils Larsson, XD of iiSBE. Each of the six roundtable speakers made a short presentation, which was followed by a very short Q&A session. Thomas Luetzkendorf presented his views on the use of Sustainable Development Goals (SDGs) as a way of effectively structuring sustainability information and discussion. He suggested that the totality of the 17 SDGs tends at the moment to be a relatively unstructured collection of targets and levels of action with links to specific sub-topics that need further development and definition at a more detailed level. He also suggested that four main issue areas could help to improve the structure of SDGs: 1. Object of the assessment (in our case, SDG 11, the built environment); 2. Areas of protection; 3. Quality of life and 4. Action areas. Subsequent discussion supported this viewpoint and also led to agreement that all the SDGs must be localized to become meaningful. As a result iiSBE will develop some recommendations to the organizers of next SDG-roundtables. Parallel sessions provided a venue for papers that had undergone a double-blind peer review process. All in all, this was a high quality and significant event.